At Sde Bar they make delicious goat cheeses as well as an environmentally friendly heating fuel using the waste from olive oil production. I’ve said it before, and I’ll say it again: Israel has something to offer to almost anybody! And via this job, I get to explore and share with people so many different aspects of my awesome country. While I can tailor your tour to suit your specific desires, there are a few areas of special interest to me which I tend to focus on even more. So if any of these subjects interests you, let me know and we can definitely focus on it. Any of these subjects can be explored in a stand-alone tour, in a single day or over a few days. Additionally, they can be mixed with more traditional touring; i.e. a traditional tour with some spice from one of these subjects, or a tour focused on one of these with a few more traditional spots mixed in. At Jerusalem’s delicious HaFinjan restaurant, enjoying a traditional Jerusalemite lunch! I love food. I love cooking it and I love consuming it! And as a true foodie, let me tell you that Israel has a tremendous amount to offer in this field, and it is only growing and getting better. We are a true immigrant country that draws from literally all four corners of the Earth, and our cuisine thus echoes the diverse make-up of Israel’s population. And as an ancient civilization, we also have numerous sites connected to the earliest roots of food and agriculture. From visits to farms and agricultural sites to facilities that produce artisanal cheeses, chocolates and olive oil, my culinary tours expose you to the wide spectrum of food culture in this country. Our wine industry has been booming and gaining prominence and respect in the past few decades (also earning many prestigious awards), and the more recent increase of microbreweries in Israel is following a similar trend. Israel’s produce is famously delicious, and our popular outdoor markets are a feast for all five senses. And accomplished chefs have opened top-notch restaurants scattered throughout the land, alongside some of the tastiest ethnic street food venues. 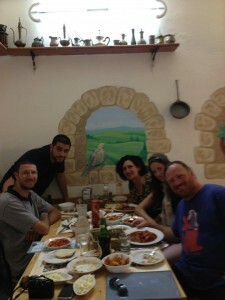 Come smell, sample and taste the best of Israel’s culinary offerings with me! 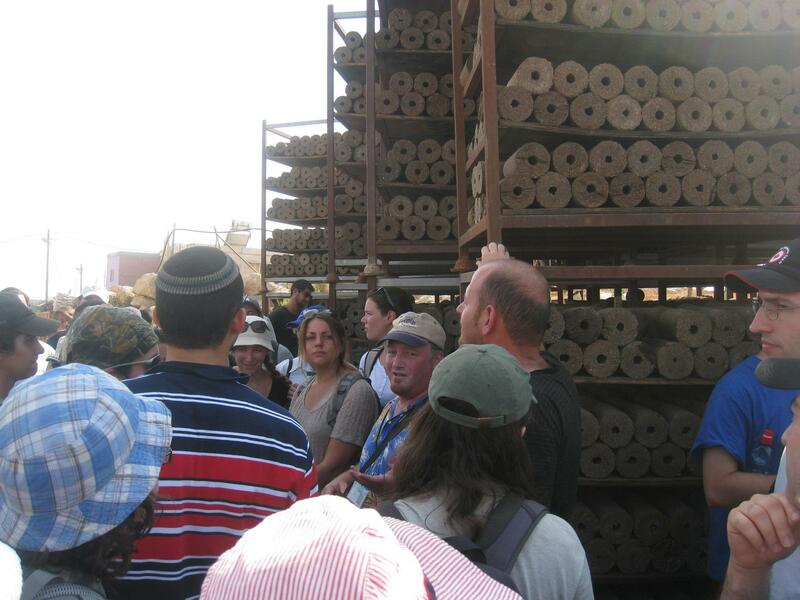 I’ve always had a certain awareness and interest in environmental issues, from long before it was fashionable to be “Green.” And coming to Israel solidified my interest in this field. I believe it is our sacred duty to preserve, protect and actually partner with God to perfect the world He has given us. Israel is a great spot to explore these issues, both in the manner in which historic peoples dealt with environmental issues and in exploring the modern solutions we have come up with for the same issues. Israel is a leader in the development of clean-tech and Green technologies. 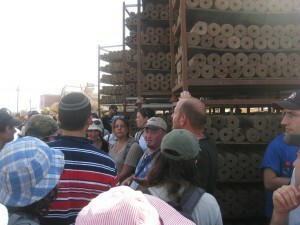 Our techniques related to desert agriculture have been exported and taught around the world. And as a country that is over half desert, and semi-arid in other parts, water usage is always an issue. Environmental tours in this country can easily visit sites connected with solar and wind energy, purification of wastewater for agricultural and industrial use, electric vehicles and agriculture that consumes very little water. Combining these with visits to ancient sites, examining how they dealt with similar issues can make for a fascinating trip. 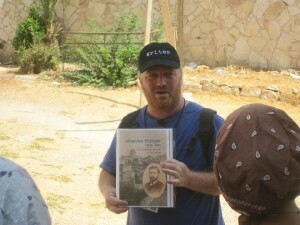 Guiding a walking tour in Jerusalem’s fascinating Nachalaot neighborhood. One of the things that I love about doing a walking tour in an urban environment, instead of a tour in which we drive from place to place, is that we get to gain a deeper, more focused understanding of a single location. And with so many small sites in such close proximity to each other, a city tour allows us to be more flexible, adding in more of one type, avoiding things that don’t interest you, or spending more or less time at a specific spot, based on your specific interest. And we can easily change the sequence of our visit to accommodate any number of other factors. Some of the cities in which I love doing walking tours are Jerusalem (Old City and New), Tel Aviv (including Old Yaffo), Tzefat/Safed, Tveria/Tiberias, and Akko/Acre. These can certainly be worked into a larger itinerary as well. Additionally, since I live in Jerusalem, I have begun to guide periodic 2-3 hour walking tours designed to explore specific neighborhoods. These are tours that I announce, and people sign up for them specifically. These are primarily designed to help the people who live in Jerusalem to get to know their city better, but they are also open to anyone else, of course!